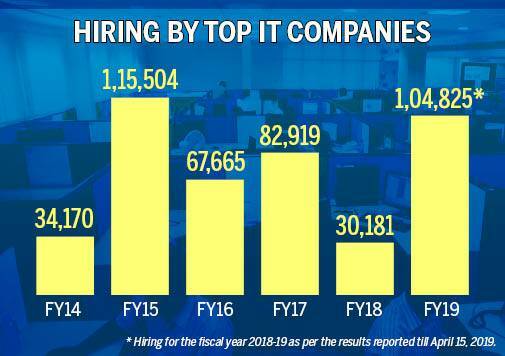 Hiring is back with a bang in the IT sector, which generated 1,04,820 jobs the fiscal year 2018-19 as per the results reported to date. This is the highest job creation in the IT sector in the last three years since demonetisation. 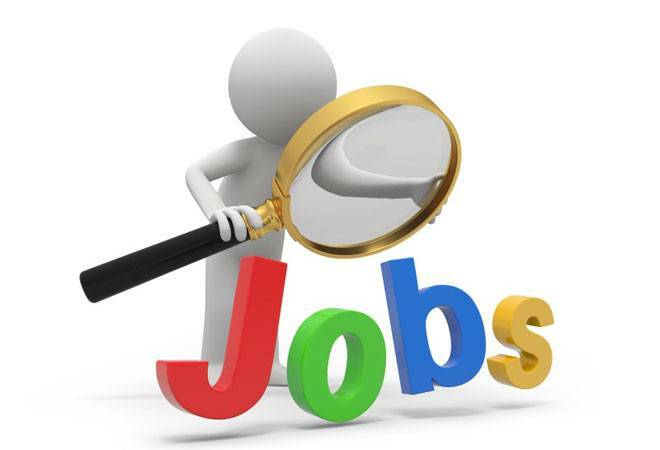 Just the top two firms TCS and Infosys created 53,303 new jobs in 2018-19. The figures in TCS' recently released annual report indicate that the company has added 29,287 employees in FY19. Their total employee strength on 31 March 2019 stood at 4,24,285. Infosys, on the other hand, added 24,016 employees in financial year 2018-19. The total employee strength of Infosys stood at 2,28,123 in FY19. The preceding two fiscals were not as great for the IT sector in terms of hiring, as only 30,181 jobs and 82,919 jobs were added in FY18 and FY 17 respectively to the combined payroll of top six IT companies - TCS, Infosys, HCL, Wipro, Tech Mahindra and Cognizant. In fact, in FY18, Infosys and TCS saw a reduction in net hiring. Infosys and TCS had added just 3,740 and 7,770 employees, respectively. Meanwhile, HCL Technologies and Wipro have not come out with their annual report yet. But as per Q3 result of HCL Technologies, 12,328 employees were added to their workforce. On the other hand, Wipro till Q3 has added 8,559 jobs to its payroll. The annual report of Wipro is expected on 16 April. This means a minimum of 1,04,820 jobs have been created in FY19. The number is expected to rise after Wipro and HCL announce their fiscal results. The hiring in FY19 is 2.90 times higher than FY18 and close to 1.59 times more compared to FY17. The attrition rate in TCS at 11.3 per cent was much lower compared to Infosys at 20.4 per cent in the last 12 months. As per data compiled from their annual reports, the average rate of net addition in employee strength, for TCS has been 11.6 per cent. Whereas the average rate of net addition in employee strength for Infosys has been 8.18 per cent, since the last 11 fiscals. In absolute numbers, taking an average of the last 11 fiscals from FY09 to FY19, Infosys added 12,320 employees every year. TCS on the other hand added 28,052 employees every fiscal. For Infosys, FY19 was the best in terms of net addition of employees in the last 11 fiscals. The employee strength of Infosys grew by 11.77 per cent as compared to FY18. For TCS, FY11 had been the best in terms of net addition of employees. TCS' employee strength grew by 23.8 per cent during FY11 as compared with FY10. Also, the proportion of women in TCS' workforce rose to 35.9 per cent, and the total number of nationalities represented stood at 147.